mushymeeh Great buyer to deal with! Prompt payment! Thank you! @mushylychee is on Carousell - Follow to stay updated! 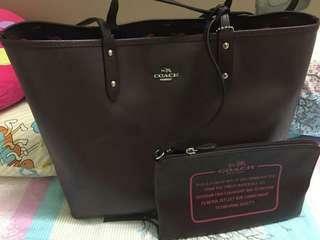 Coach reversible shopper's bag.In good condition. Used 2-3 times only.